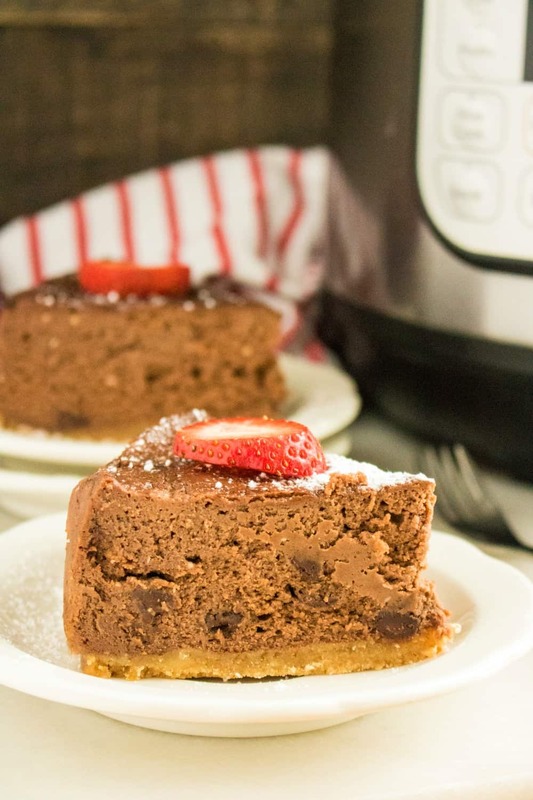 It is super easy to use your Instant Pot to make all kinds of delicious cheesecake recipes, including this decadent Instant Pot Chocolate Amaretto Cheesecake recipe. 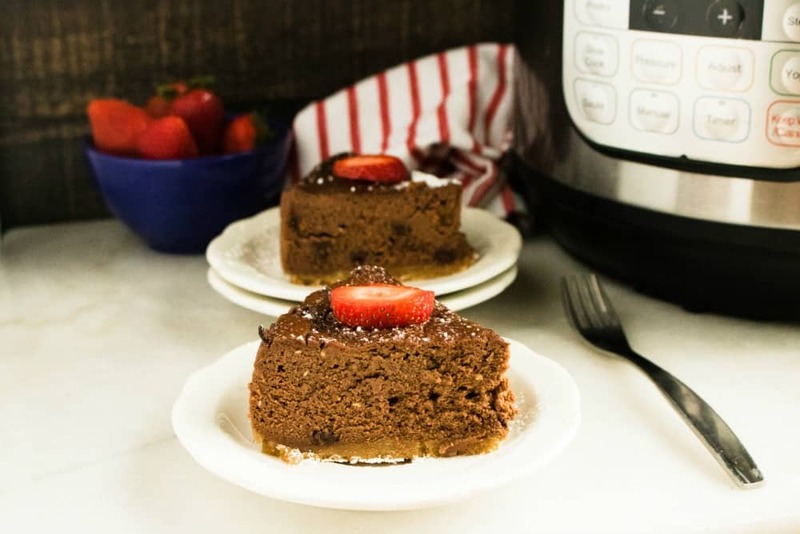 I love to find new ways to use my Instant Pot to save time and this Instant Pot Chocolate Amaretto Cheesecake recipe is a keeper! 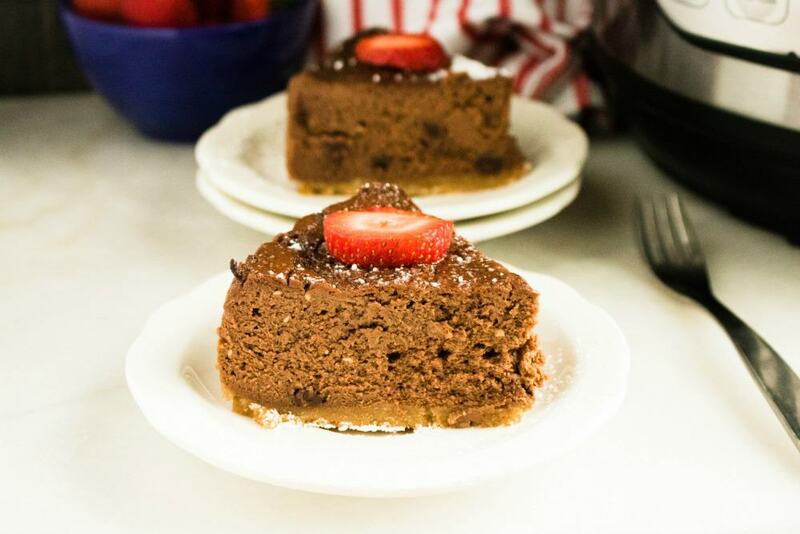 I personally think this Instant Pot Chocolate Amaretto Cheesecake would make the perfect dessert to offer your family after you’ve served them one of the best Instant Pot Chicken Breast Recipes, like my favorite Instant Pot Chicken Cacciatore. 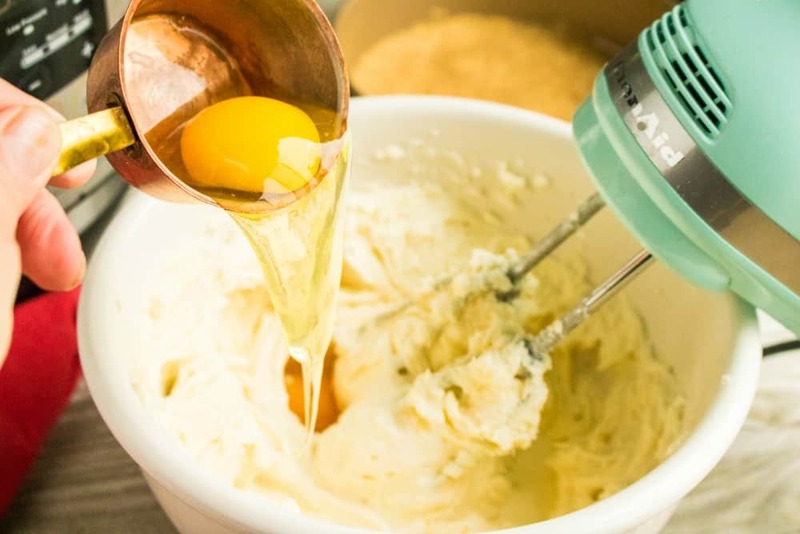 Process wafer cookies in a food processor or blender to make crumbs. 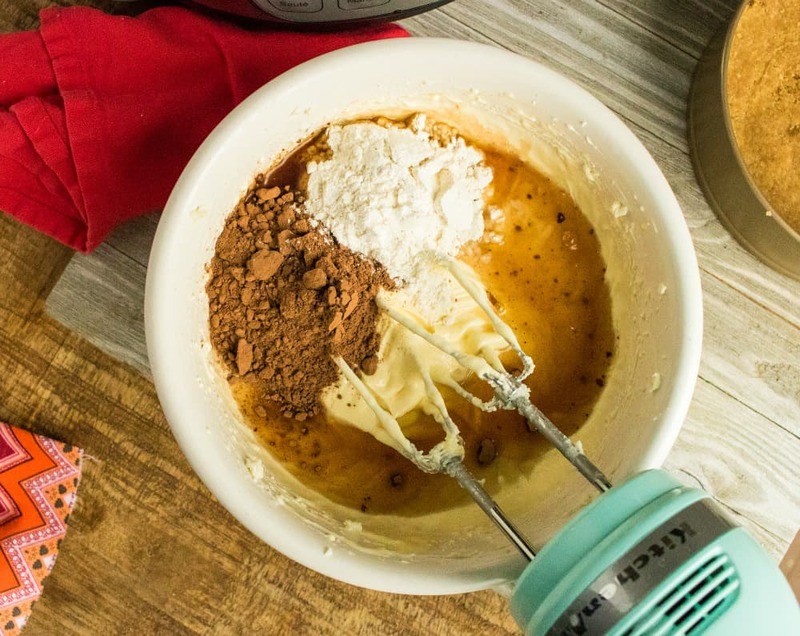 If using a food processor, add in remaining ingredients to combine in food processor, otherwise mix in a bowl or directly in the springform pan . Spray springform pan with nonstick cooking spray . Combine crust ingredients and put into a 7-inch springform pan . Pat down into the bottom of the pan. 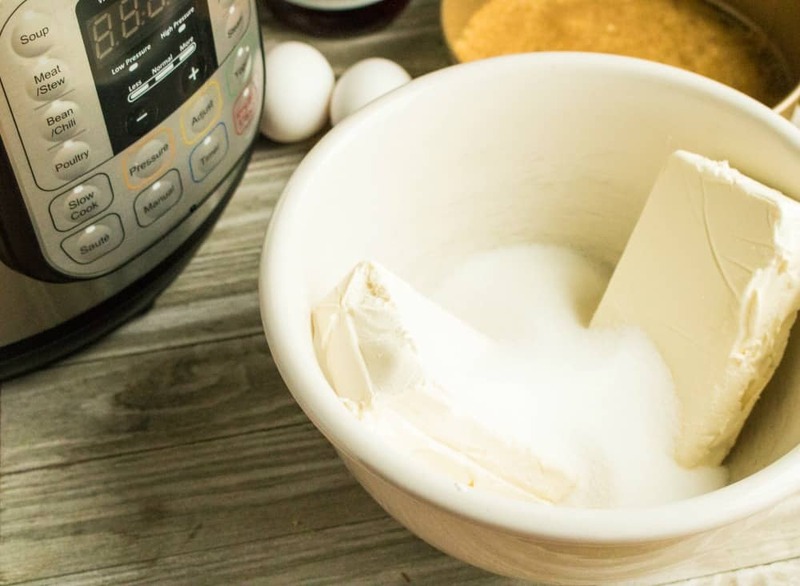 Beat the cream cheese with the sugar until smooth; add eggs and whipping cream and beat for about 3 minutes on medium speed with a hand-held electric mixer . Add amaretto , cocoa, flour, and vanilla; beat for about 1 more minute. Stir in semi-sweet chocolate morsels. Put 1 cup of water in the inner pot of the Instant Pot. Make a sling out of aluminum foil and lower the cheesecake down into the water. Tuck the sides of the aluminum foil sling so they are lower or even with the springform pan. Close the Instant Pot lid and set to sealing. Set for 28 minutes on high pressure and then allow for a natural pressure release when the cooking time is done. This should take around 15 minutes. 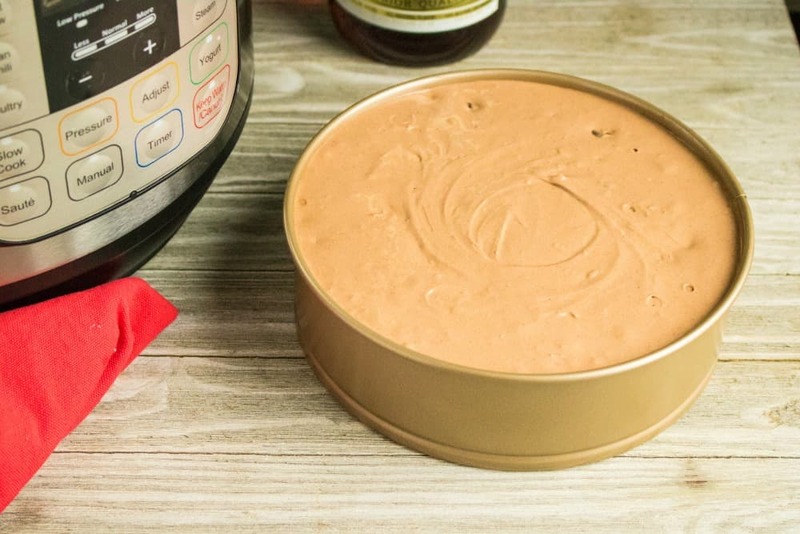 Carefully remove the cheesecake from the pressure cooker using the sling and then let cool on a cooling rack for about an hour. When it has cooled, transfer to the refrigerator and let it sit overnight before serving the next day. 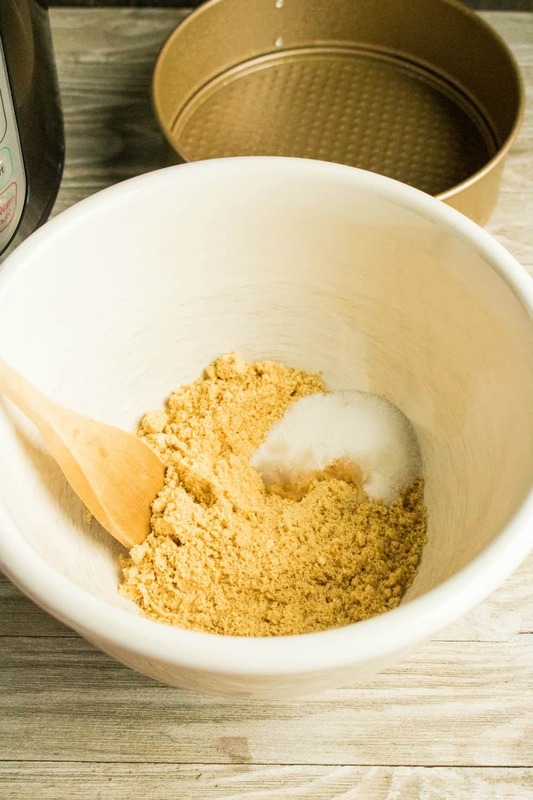 Process wafer cookies in a food processor or blender to make crumbs. 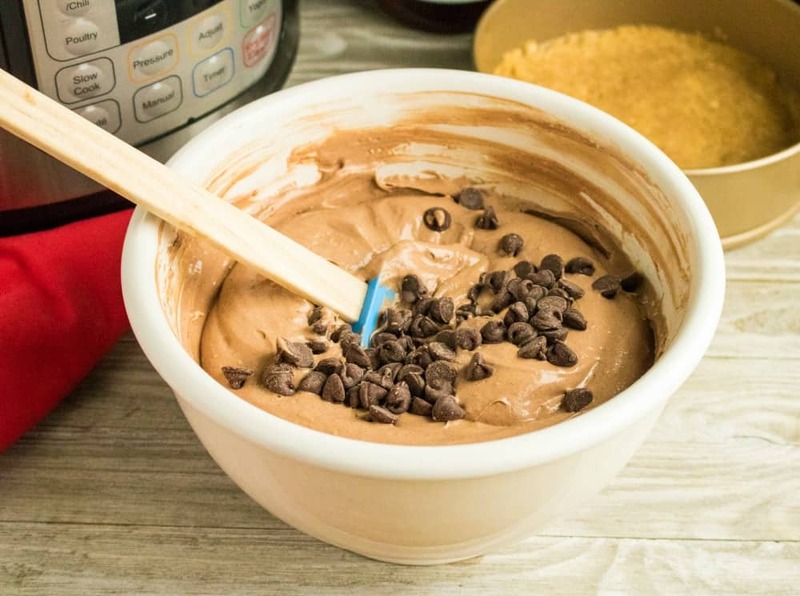 If using a food processor, add in remaining ingredients to combine in food processor, otherwise mix in a bowl or directly in the springform pan. Spray springform pan with nonstick cooking spray. Combine crust ingredients and put into a 7-inch springform pan. Pat down into the bottom of the pan. 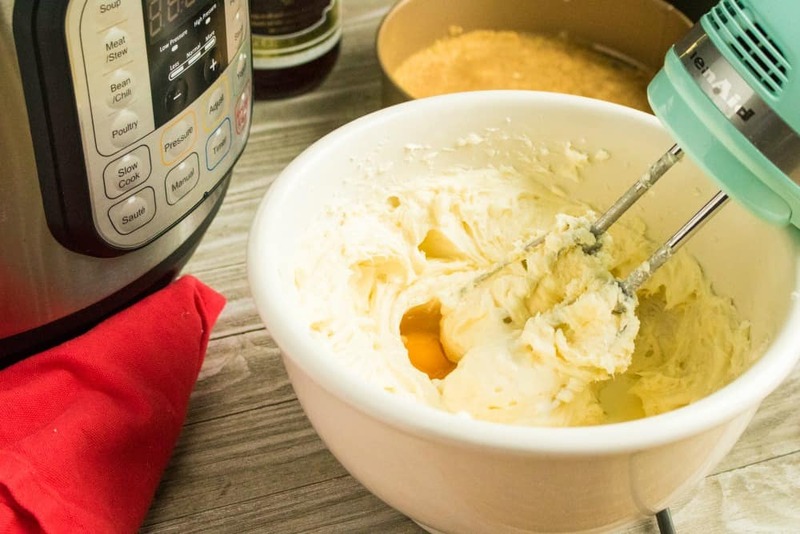 Beat the cream cheese with the sugar until smooth; add eggs and whipping cream and beat for about 3 minutes on medium speed with a hand-held electric mixer. Add amaretto, cocoa, flour, and vanilla; beat for about 1 more minute. Stir in semi-sweet chocolate morsels. 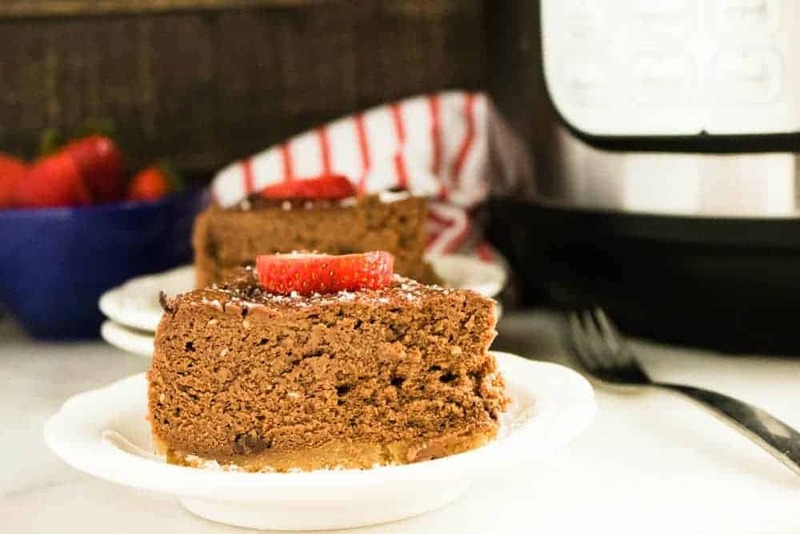 Carefully remove the cheesecake from the pressure cooker using the sling and then let cool on a cooling rack for about an hour. When it has cooled, transfer to the refrigerator and let it sit overnight before serving the next day.